The village of Caledcott is the most southerly in Rutland, indeed it is barely inside the county boundary. The church of St John the Evangelist stands on Church Road, just off the main A6003 through the village. We don't know for certain when the first church was built here, but we do know that Romans built a temple either on this spot or very close by. Pieces of red Roman tile can be seen incorporated into the north face of the current building. 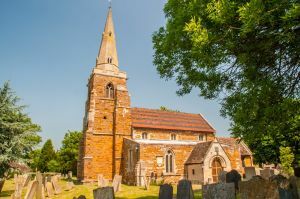 The first known church here dates to 1267 when it appears that Caldecott served as a chapel of ease for Lyddington parish (that is, the official parish church was in Lyddington but local people were allowed to worship at a chapel here, closer to where they lived and worked). 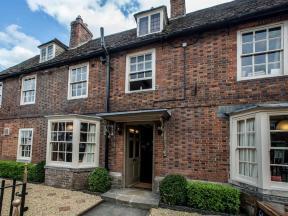 The architecture is almost entirely 13th century Gothic, in the style known as Early English. 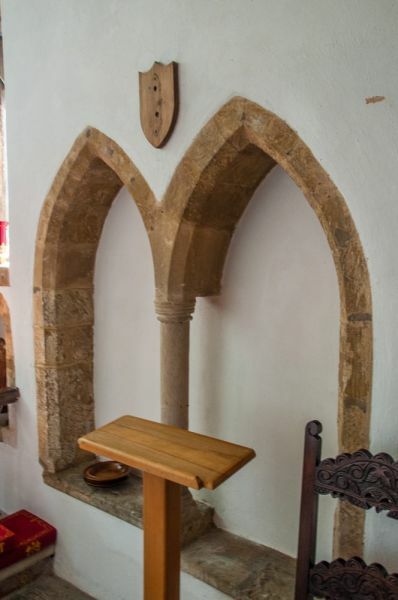 A clerestory was added in the 15th century and the porch added around 1684. One of the most interesting bits of historical interest at St John's is found outside the door. To the left of the porch is a conical section of stone, which is what remains of the tip of the spire. In 1797 lightning struck the spire, and the tip crashed to the ground, where it has been preserved ever since. Over the chancel arch is a large royal coat of arms to Queen Victoria. 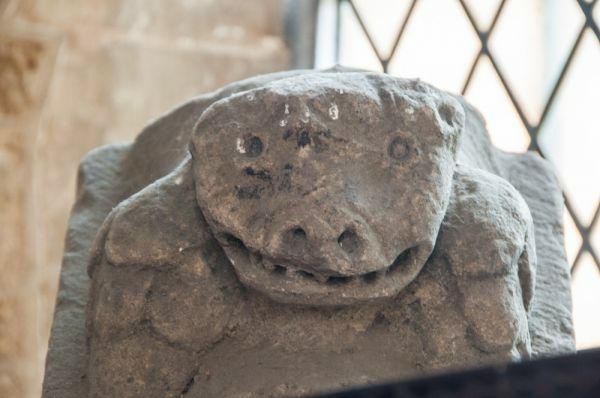 The church guide describes this as 'grotesque' which is rather unkind! 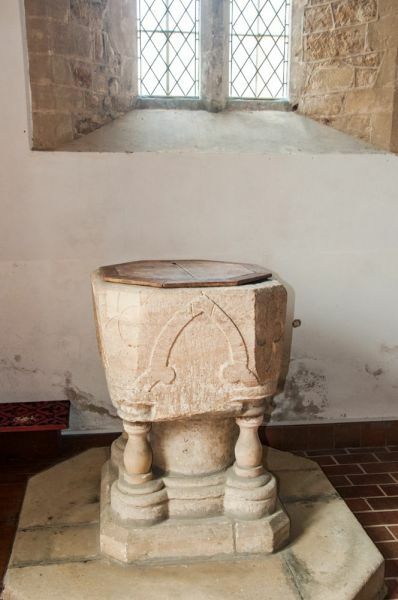 There is a pair of sedilia in the chancel, but as far as historical interest goes, that's about it. However, if you take a quick look around the churchyard you'll find more of interest. To the west of the tower is an area of ten table tombs (the guide calls them '10 unusual listed buildings'). 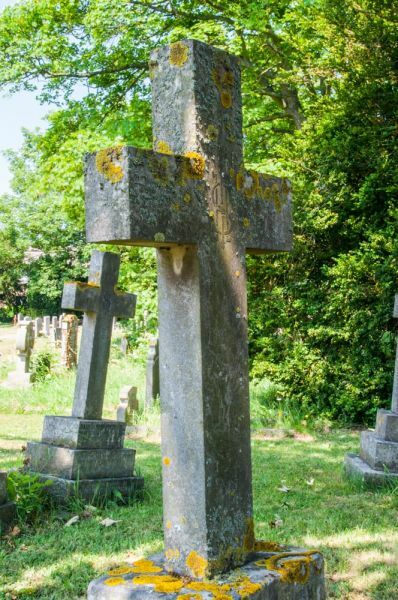 Just inside the Uppingham Road entrance to the churchyard is a cross marking the grave of Lancelot Packer. Lancelot was a son of a vicar of Caldecott who emigrated overseas to America, where he died in 1937. 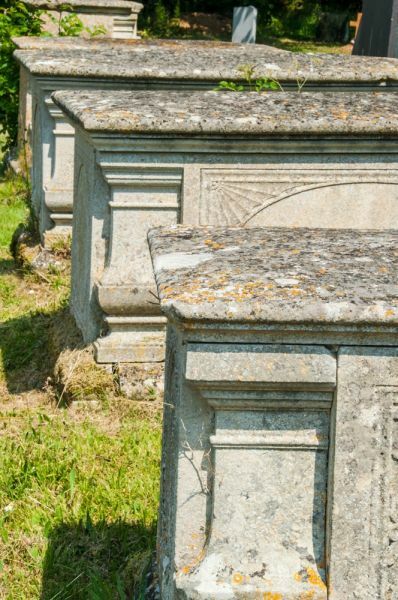 He had wanted to be buried in Caldecott, so his body was embalmed and placed in a copper coffin with a glass lid. The coffin was placed on a ship back to England, at a cost of some 400 pounds - a sizeable sum in those days. On the night before his burial, Lancelot Packer's body lay in the church, where the villagers came to see one of their own, clad in full evening dress, lying on a bed of silk cushions.